That’s pretty good, but it just got way better. As you may have heard earlier today, Box is now offering a whopping 50GB of free cloud space to help celebrate the launch of its new iOS app. As evidenced by the overwhelming crowds during past iPhone and iPad launches, it’s clear that our lives revolve around mobile. That’s why we’re happy to announce that we’re giving away 50 GB of free storage to anyone who uses a free Box Personal account on an iOS device. That’s right, it’s 50 GB in the cloud completely free, forever. Your 50 GB of storage isn’t just limited to your mobile device – you get it anywhere you use your Box account, like on your laptop at home or your desktop at the office. Keep in mind you’ll need to download or update to the newest Box for iPhone and iPad app, version 2.4.3, then log into Box in order to get 50 GB. Something else cool: Your account will have an increased file size upload limit of 100MB instead of the usual 25MB! We also updated our app with a few features that’ll make your free 50 GB even more powerful. Using AirPlay, you can now wirelessly stream Box content to an Apple TV for effortless projection of photos, videos, presentations and more. Of course, Box gets even better when you use it with others, so be sure to tell your friends, colleagues, and really, anyone with an iOS device to take advantage of this offer before it’s over. When we originally launched our iPhone app three years ago, we suspected our users would get pretty pumped about sharing and collaborating from anywhere. In addition to the tremendous amount of interest we’ve seen with our own app, mobile adoption across the entire tech industry has been massive. For example, analysts estimate that over 100 million people will have iPads or iPhones by the end of this year; to put that figure in perspective, that’s larger than the entire population of France by a pretty huge margin – nearly 30 million. The future of mobile is about being free of storage restrictions and closed systems. With this offer, all iOS users will see the benefit of having all of their critical information available at their fingertips, from anywhere. 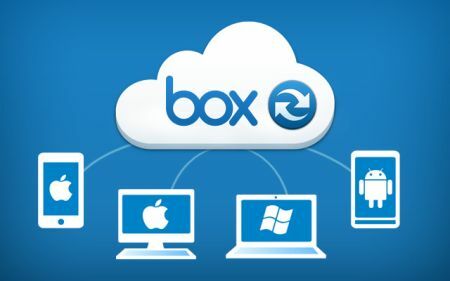 And if you’re already using Box, I’m sure you won’t mind getting some extra room in the cloud. Be on the lookout for tips, contests and other info about your free 50 GB over the next 50 days.